ProFoam Platinum Concentrate is designed for use with the Solo Wall Foamer or any foaming applicator ! You will be sent OutLAST Foaming Agent instead. 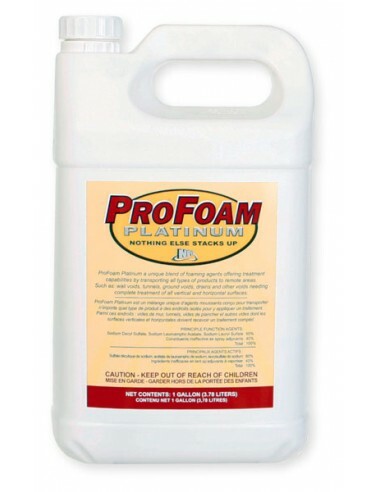 ProFoam Platinum Concentrate is a non-toxic blend of surfactants that provides for the transport of all types of pesticide products to areas such as drains, wall voids, and other areas requiring complete treatment of horizontal and vertical surfaces. 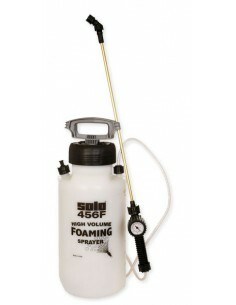 Designed for use with the Solo Wall Foamer or any foaming applicator. Makes a thick shaving cream consistency foam for better penetration of wall voids, termite galleries, cracks, crevices, etc. 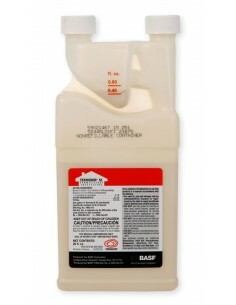 Mix as little as 2 oz per gallon of water then add the pesticide of your choice for a thick penetrating foam. Water hardness will determine the amount of foam used. Use 2-4 oz per gallon of water, mix in desired pesticide or other product, shake or agitate and then use as directed in a foam generating device. User must calibrate any equipment and follow any steps that may be required to ensure proper coverage.